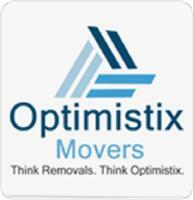 Optimistix Movers are a London based family run removal and storage covering all areas of the UK and Europe. We have many years experience and numerous satisfied and returning customers. We pride ourselves on being able to carry out an excellent, fast, reliable service at exceptionally competitive rates. We cover all areas of the UK and can carry out full house and office moves as well as moving, collecting or delivering small or single items.